Over the past week, the annual police cannabis recovery operation has been taking place in West Auckland. A helicopter – accounts differ on whether it is a police or NZDF aircraft – and a spotter plane have been flying low over the Waitakeres and the West Coast beaches, directing a ground crew towards small outdoor grows. There is also an effective subsidy from the New Zealand Defence Force, which provides helicopters and personnel, and it can be very difficult to assess the total cost of resources. In 2016, an OIA request by Kyle Sutherland seeking that information with respect to the Tasman District operation of that year was bounced around the office of the Minister of Police, the New Zealand Police, the Royal New Zealand Air Force and the NZDF. The NZDF was able to confirm that the cost of the use of an RNZAF helicopter was $52,800 but declined to provide a breakdown of staff costs on the basis that it would be too much work. The Police, for their part, responded that information on police costs in the annual cannabis recovery operations "is not collated or held". It's not exactly a triumph of accountability. 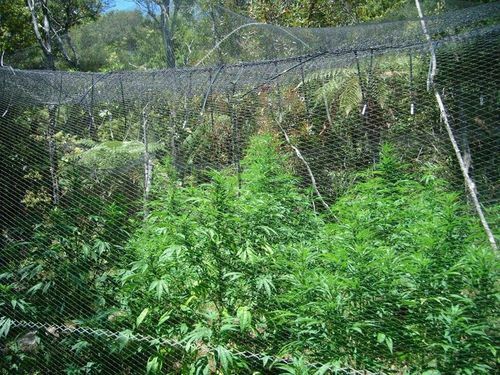 Residents, whether they are growing cannabis or not, largely hate the annual operation in the Waitakeres. It's intrusive and the aircraft fly low – and where plants are detected, herbicide is sprayed from the air. On past form, there will also be criminal prosecutions resulting from the operations. Those cost money too, and the Proceeds of Crime disbursements don't nearly cover all the costs. But I don't think it's unreasonable to suppose that the operations continue to happen because there is funding to be had. What the operation in Auckland does not do is meaningfully reduce cannabis supply in the region, where the serious, commercial cannabis growing is done indoors as an organised criminal enterprise. Such cannabis cultivation was driven indoors by aerial surveillance years ago. But this year's operation has claimed a further casualty. 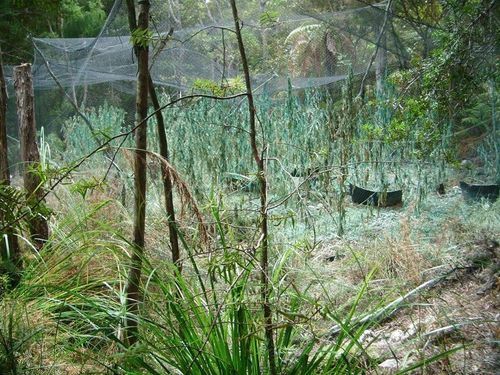 Below is an open letter written by Pearl Schomburg of Auckland Patients Group, who published it along with pictures of a small medicinal cannabis grow, before and after it was sprayed with herbicide. Pearl says the grow was composed of entirely medicinal strains used to make products destined for "very unwell patients including palliative patients." Pearl believes, probably correctly, that it will be three to five years before whole-plant cannabis products are legally available under the new medicinal cannabis regime. In the meantime, the only way patients in palliative care – who are themselves protected from prosecution – can access such products is through small, illicit operations like this. Rolling out the operations year after year just doesn't make sense in the current environment, at last in West Auckland. It doesn't meaningfully reduce supply, it diverts money that could otherwise go into treatment and education, and it hurts people. We urgently need to rethink what is happening here. Recently the NZ Police commenced with their annual air searches for cannabis plants in the north and indeed yesterday I had reports they were out at Piha, Karekare and Huia. The grows they are finding are mostly small individual personal grows, and our compassionate providers organic outdoor annual grows. I have attached heartbreaking photos of my provider's (Gandalf) crop that was poisoned by Police last week. These plants were all medicinal strains and destined for high quality products for very unwell patients including palliative patients. This will make it very difficult for Gandalf (my provider) to guarantee supply for all his patients including me. Our ADHB specialists continue to refuse to write prescriptions for legal Cannabis medicine due to departmental policy and the products legally available are limited, expensive and ineffective for many patients. Our compassionate providers are trying to manage the increased amount of patients they are receiving due to medical professionals refering patients to seek cannabis to ease their suffering where conventional treatments have not helped. Although the Medicinal Cannabis Bill has passed I believe it will be 3 - 5 years before all patients will receive access to affordable, quality, whole plant cannabis products, with guarantee of supply from the companies currently setting up in NZ. Indeed it will be a year before we know what the regulations will allow. Our compassionate and self providers have been achieving great results for themselves and others during the last 90 years of prohibition and indeed there is recorded safe usage of cannabis by communities for centuries beforehand across many cultures. These folk deserve a voice at your regulation table and this cannot happen while they continue to be criminalised. I ask you to establish a pathway to 'grandparent' these folk into the future which must include an immediate amnesty on all medicinal cannabis patients and their supporters including providers, nurses and carers. Patients continue to be traumatised by raids and the loss of their plants and medicine has a huge impact on their wellness and recovery. Police discrimination is not working for our patients and their providers and I ask you to show your greatest kindness and compassion by resolving this issue immediately and allow our community to continue doing their very best work.